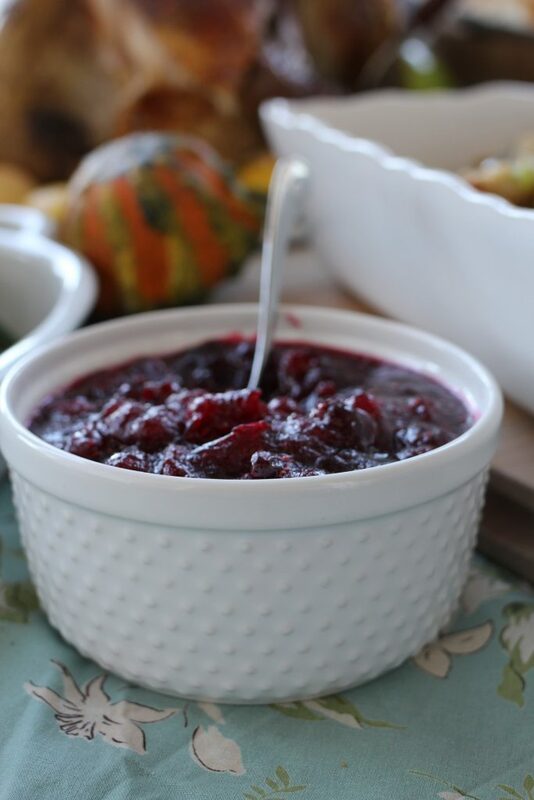 Thanksgiving without cranberry sauce is like pie without ice cream! 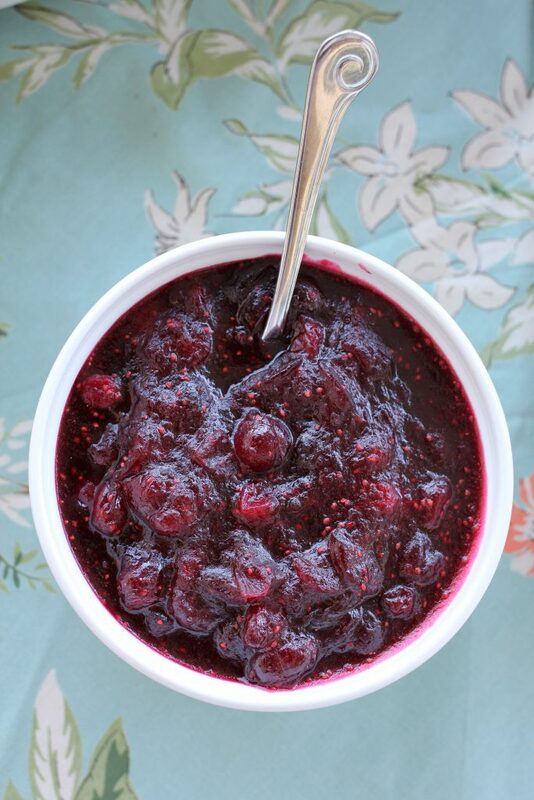 You will never find a dish that is easier to make than Fresh Cranberry Sauce. It consists of boiling water, adding sugar and cranberries…that’s it! 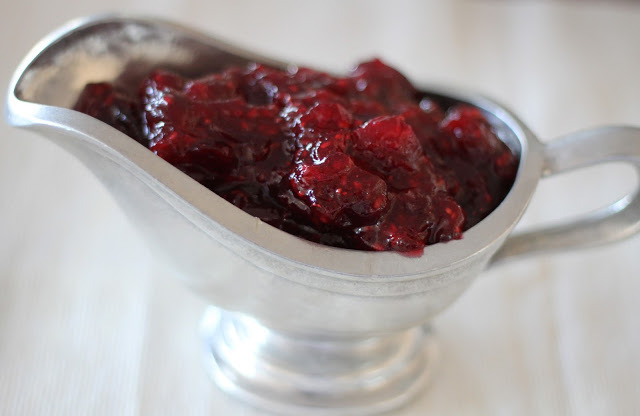 What is the first thing that comes to mind when you think of cranberry sauce? Congealed stuff, giggling when you force it out of the can in one long, thick clump. The ridges of the can imprinted on its sides…oh my. That’s my childhood memory of cranberry sauce. Even in the congealed state, it was still one of my favorite Thanksgiving dinner items. I’m huge on sweet and salty together, and cranberry sauce is an essential holiday menu item in my book. 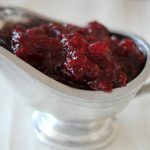 If you haven’t tried to make cranberry sauce from fresh cranberries, you are about to be pleasantly surprised. I love to make a few variations of cranberry sauce for Thanksgiving dinner. A couple of my favorites are Apple Spice Cranberry Sauce and Fresh Cranberry, Orange and Dried Cherry Sauce. Do you want to contribute to Thanksgiving dinner this year, but don’t have time to make anything time consuming? Call up the host and volunteer to make Fresh Cranberry Sauce. If you have a pan, sugar, fresh cranberries and a few minutes, you can do this. One tip, make sure to use a pan that holds at least 2 quarts. The mixture will boil and bubble up a bit. If you use a pan that is too small, you’ll end up with a big mess on the stove. It takes 15 minutes start to finish to make Fresh Cranberry Sauce. I’m huge on make-ahead at holiday time, and this dish is the perfect make ahead dish! Make a batch (or two) of Fresh Cranberry Sauce this weekend, and store it until Thanksgiving Day. I always double this recipe! Bring orange juice, water and sugar to boil in a large sauce pan. Add cranberries, cook until berries begin to pop and the skins burst. Lower heat and cook until sauce begins to thicken a bit, about 3-5 minutes. When cooled, spoon into a bowl or mason jar, and store in refrigerator. -This sauce may be made with all orange juice or all water, or half of each. For the orange juice do you use fresh squeezed or regular oj in a carton? Thanks! Made this for the first time last year and it was delicious!!! So easy! Making it again this week! Thanks for the great recipies. ???? 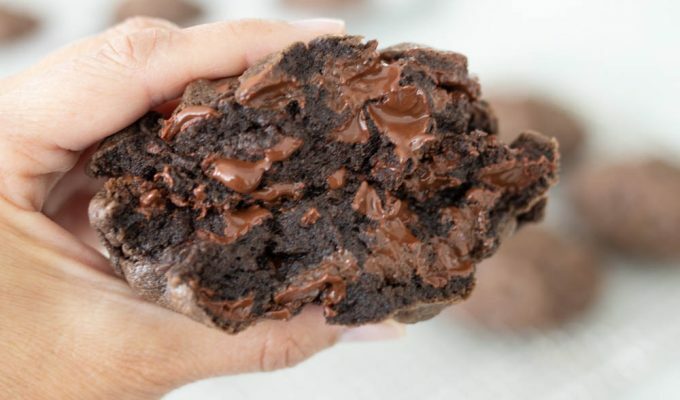 This recipe is super easy and so delicious. And the kids love helping with it too. I usually use a masher to get the consistency I like. It looks like you had an ABK Thanksgiving this year! Thank you for being such a loyal follower. I really appreciate your comments! Hi Brittany, I usually use orange juice, but you can certainly try using pineapple juice. Thanks for asking!